– I am a 15 year old girl who likes to be active. 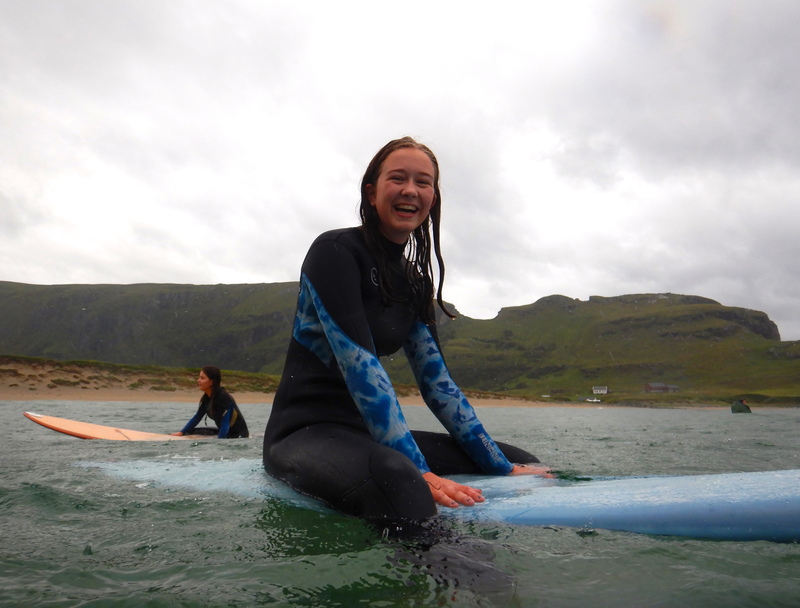 I am really devoted to the school work, but in the weekends, I like to jump into the water, and catch some good waves! 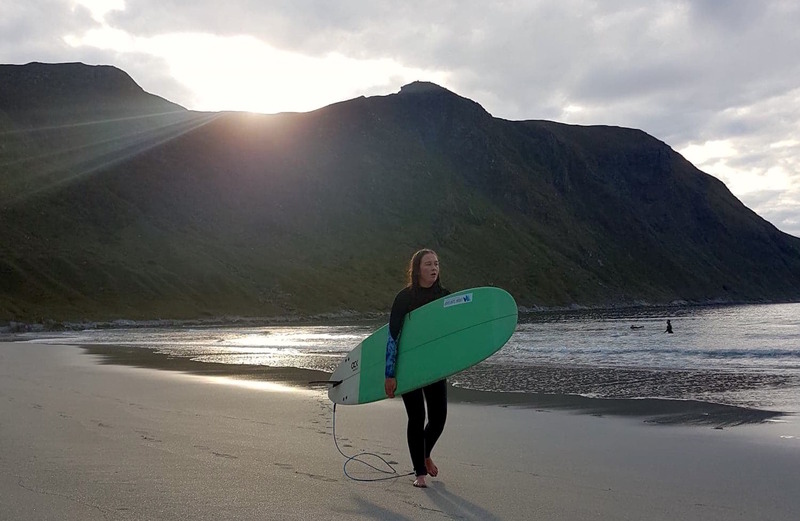 – #skolesurf is a big part of the reason I started surfing! I had tried surfing a couple of times before we started surfing at school, but after we had learned the most basic, I began to go surfing alone. Not long after, I bought my first board at Ervik Surfshop. 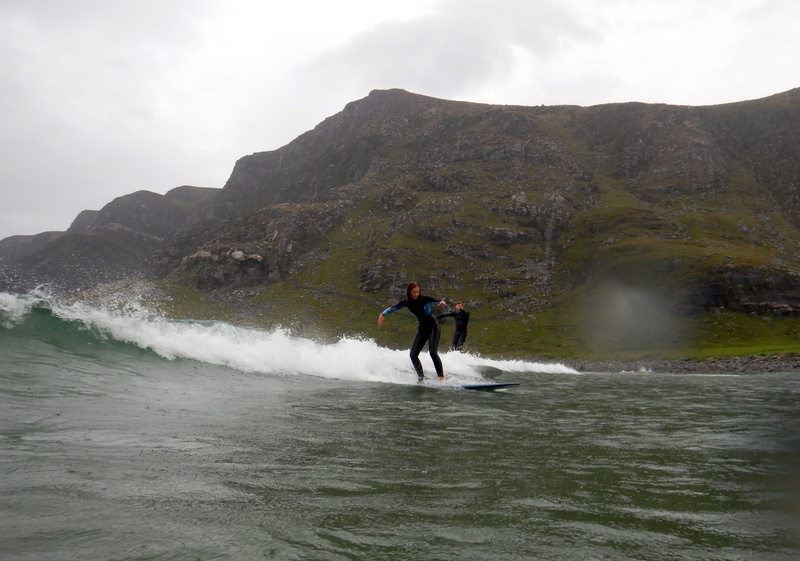 You are now representing Ervik Surfshop as a Local Teen Rider, How does that feel? – I think it is really cool that I am representing Ervik Sufshop! It feels good to know that I have someone to surf with, and someone who can show me some tricks. Since I´ve got this opportunity, I want to bring friends and family to surf. I hope that they get hooked too! Why did you get hooked by surfing? – The reason I got hooked by surfing, is the rush you get when you catch a good wave. You can feel an amazing sense of achievement every time you go surfing, since you get better every time. – Next year I will move away from this beautiful place, to study. I think I will stay in some different places for the next few years, but my dream is to come home to Stadlandet when I am a grown up!